The Royal Conservatory is dedicated to ensuring every Canadian child receives the rich cognitive and developmental benefits of music education from the earliest possible age. To meet this goal, The Royal Conservatory has launched The Marilyn Thomson Early Childhood Education Centre, which is developing and delivering innovative early childhood education programs, and digital early childhood education products for use in the home and classroom by parents, children and teachers. To learn more about the Marilyn Thomson Early Childhood Education Centre, please contact [email protected]. Over the past decade, mounting evidence from the fields of education, cognitive neuroscience, and brain imaging has challenged our previous assumptions about intelligence and brain development in children. Increasingly, music and the arts are being recognized as crucial intellectual building blocks in the early years, closely linked to such cognitive functions as verbal-linguistic development, spatial reasoning, complex problem solving in math and science, and the development of emotional intelligence. This holds especially true in the early years of a child's development. Drawing on a foundation of neuroscience research and working closely with the Royal Conservatory's own Research Centre, the Marilyn Thomson Centre is focused on providing parents, caregivers and teachers with the tools to give children an enhanced, educational experience and promote cognitive and social development through music and the arts. The Marilyn Thomson Early Childhood Education Centre has been launched thanks to a generous gift from David, Peter, and Taylor Thomson, reflecting her lifelong involvement in music and her commitment to music education and The Conservatory, where she was an alumna and for many years a Board member. The Marilyn Thomson Centre is poised to significantly advance the reach and impact of early childhood development in Canada, and to be at the heart of one of today's greatest opportunities: helping every child succeed through the power of music. 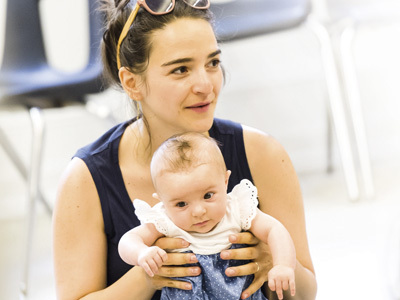 Bond with your baby through music and song with our new Smart Start™ app! Rooted in our innovative, neuroscience-based early childhood curriculum, this musical app delivers the proven cognitive benefits of early exposure to music education and deepens the parent-child bond through musical interaction in the home. It’s like having a Royal Conservatory of Music class in your own living room! LEARN MORE TRY IT FREE TODAY! 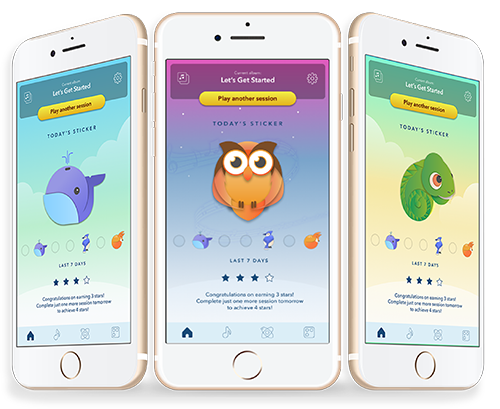 The new Smart Start™ app is the first of many digital resources we are currently working on to deliver the proven cognitive benefits of early exposure to music education and deepen the parent-child bond through musical interaction in the home.